This week, ABC promised "Bachelor" fans a two-night event with tons of drama and they weren't kidding! Following the hometown dates on Feb. 24, Juan Pablo Galavis and his three remaining ladies traveled to St. Lucia to hopefully take part in some fun fantasy suite dates. Despite St. Lucia's undeniable beauty, not all went according to plan for JP. Let's recap! Clare is picked for the first date. And as per usual, she spends the day with Juan Pablo making out on a yacht. Clare is a bit reluctant to spend the night with JP, but after some persuading, she agrees and they start their night with a steamy makeout session in a hot tub, before the cameras cut away. She also tells JP she loves him. Next up is Andi, who appears to be very comfortable with Juan Pablo because they head under a waterfall in the middle of the jungle and have some fun. Later, Andi accepts JP's invite to spend the night together. Nikki is invited on the third date. They go horseback riding together, and JP tells Nikki, who wore a bikini, she could have worn a thong if she wanted. At least her bikini comes in handy because they go swimming in the ocean and then head back to the suite. 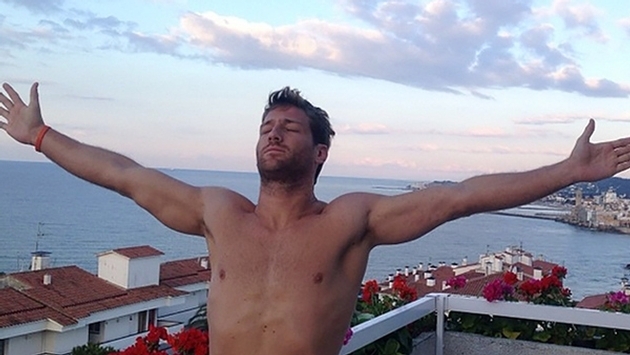 Following all the fantasy suite dates, Andi wants to talk to Juan Pablo. Apparently, she did NOT have fun in the fantasy suite. She says that JP only talks about himself and he even boasted about his date with Clare the previous night. She tells JP that she could never love him and he says "it's okay," which only infuriates her more. Inside the suite, JP told Andi that she "barely" made it to the final three. He insinuated that she only made it this far because Sharlene voluntarily left the previous week. Andi tells JP that there's a big difference between being honest and being an "a**hole." In the end, Andi heads home. Thus, JP is left with Clare and Nikki. Who do you think will take home the final rose in two weeks? And were you mesmerized by St. Lucia? Saint Lucia Resorts ANSE CHASTANET ST.LUCIA and JADE MOUNTAIN ST LUCIA are featured in this episode as well as the finale on March 10. And just in case you'd like to recreate any of the romantic moments from "The Bachelor," it's quite easy. At Coconut Bay Resort, you can have your own personal rose ceremony, a private chauffeured island tour, a private catamaran, a snorkeling tour, and a chance to go horseback riding.